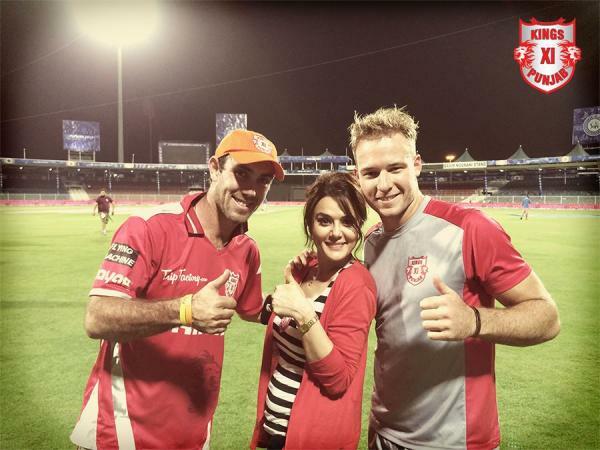 Kings XI Punjab have named South African batsman David Miller captain for IPL 2016 Season 9. Last year the team was captained by Australia's George Bailey, but the franchise had not retained Bailey this season.Sanjay Bangar(Kings XI's coach Since 2014) said Miller had the right temperament to lead. "I have watched David grow as a player. He has displayed outstanding batting abilities and a cool temperament in many high-pressure situations," Bangar said. "I am confident in his potential to lead the boys this season. "Former India opener Virender Sehwag was appointed mentor of the Kings XI Punjab team for the upcoming Indian Premier League (IPL),Sehwag said he is looking forward to his new role with the franchise.The team is jointly owned by leading Bollywood actress Preity Zinta, Wadia Group scion Ness Wadia, Dabur’s Mohit Burman and Karan Paul. The team plays its home matches at the PCA Stadium, Mohali. Since the 2010 IPL, they have been playing some of their home games at Dharamsala as well. The team holds the record for the longest winning streak in IPL. Swapnil Singh is an interesting pick by Punjab and could turn out to be a trump card. He is likely to be the team's second-choice spinner. David Miller left hand player of south africa likely to be favorite for boosting run in death over so kings xi punjab retained him. Mitchell Johnson retired from natinal team so his concentration now only on IPL 9 by playing some good cricket to attract IPL franchise.Ohter aussie Shaun Marsh,Glenn Maxwell Also key player for punjab in coming ipl season to win title. Axar patel lead spin attack of punjab in IPL 9 along with Gurkeerat Mann Singh and pace attack with sandeep sharma.Murli vijay and manan vohra may be start inning from king's xi punjab,maxwell lead from second order in ipl.Miller may come at number 5 to provide massive end in death.